Motivational posters feature lively visuals and popular themes to energize learning, spark discussions, build character, and encourage new ways of looking at life. The results are motivated, successful students who reflect the positive attitudes and behaviors portrayed in these creative themes. 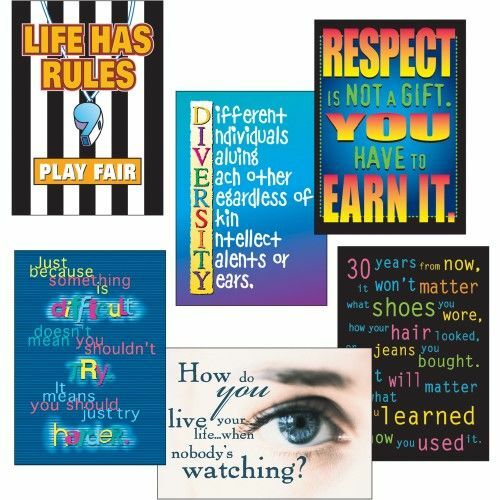 Six-poster set includes 30 years from now, Diversity, Just because, Respect is not, Life has rules, and How do you live. Posters are durable for classroom posting.